There has been a surge of new and crazy flavourings appearing in the craft beer scene such as Hazelnut fudge cake sundae beer, Raspberry Ice-cream beer, Mango Lassi Sundae, Peach IPA, or Peanut Butter Chocolate Stouts, the selection is as wide as your imagination. Many of these beers have been taking influence from advances in cake and vaping flavour technology, using natural flavouring additions in the form of propylene glycol carriers to get some additional flavour to back up what is created with the malt and hop additions. 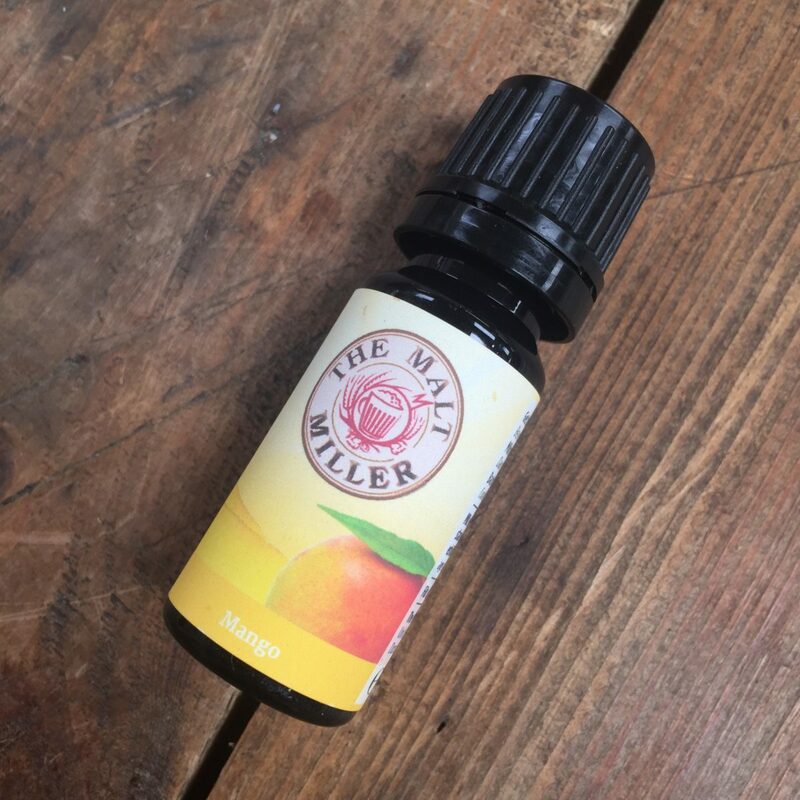 By using a flavouring this gives your beer an additional boost, replaces the need to use and sanitise real fruits or nuts so removing any risk of infection from those additions. The flavouring can be added at time of packaging the beer, or even at point of serve if you wish to be able to mix it up a bit behind the bar, giving you the chance to offer a sour peach or raspberry beer from the same tap. They are totally soluble so leave no oil slick on top of the beer, as these have been developed for use in drinks by us and our manufacturer. In all instances we recommend that you taste test and decide the level of dosing that is right for your taste and style of beer. Comes supplied in resealable 10ml plastic pet bottle. Give a great taste and aroma at 5 drops/250ml glass. Added to Mangrove Jacks Berliner Sour. No synthetic taste, excellent!